They both face multiple counts of criminal homicide, conspiracy, abuse of corpse and robbery. 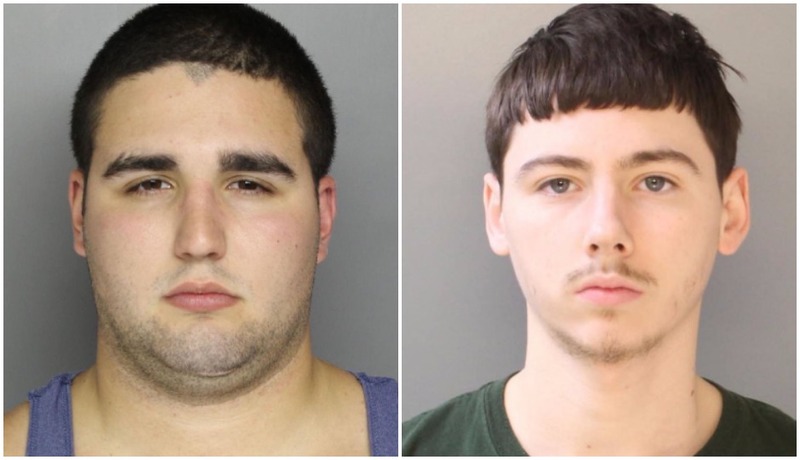 By Claire Sasko·	 7/14/2017, 1:56 p.m.
Cosmo DiNardo and Sean Kratz, both 20, have been charged in connection with the murders of four Bucks County men who went missing last week. DiNardo, who was identified as a person of interest earlier this week, confessed to “his participation or commission” in the murders Thursday night in exchange for being spared the death penalty. He faces 24 charges, including four counts each of criminal homicide, conspiracy to commit criminal homicide and abuse of corpse, as well as three counts of robbery. Kratz, who was taken into custody last night in Northeast Philly, faces three counts each of criminal homicide, conspiracy to commit criminal homicide, abuse of a corpse and robbery. Authorities say Kratz was involved in three of the four murders and that DiNardo executed one of them on this own. Kratz was arrested several hours after DiNardo’s confession, during which DiNardo said he had an accomplice, according to the Associated Press. The wire service reports that an anonymous source close to the investigation said DiNardo and the co-conspirator killed the men and burned and buried their bodies in a grave 12 feet deep on a farm owned by DiNardo’s family in Solebury Township. State and local police, FBI agents and cadaver dogs scoured the property for days searching for the boys as the case gained notoriety. On Wednesday night, multiple human remains were found, including those of 19-year-old Dean Finocchiaro, 22-year-old Mark Sturgis and 21-year-old Thomas Meo. The remains of 19-year-old Jimi Patrick have not been identified. The Bucks County District Attorney’s office further outlined the alleged killings in affidavits posted Friday afternoon.